Curcumin, the active ingredient of turmeric (Curcuma longa) used in culinary and medical practices in Asia, has immense potential for being used in cancer chemotherapy because of its control over the cell growth regulatory mechanisms. 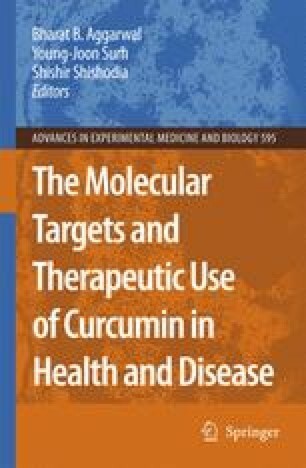 The present chapter throws light on the role of curcumin in modulating the various phases of the cell cycle and its apoptosis-inducing effects. This is followed by a discussion on the implications of these effects of curcumin for its use as a chemotherapeutic agent in cancer.